With its essential design, colour shading and ambience the contemplative Hospitium rooms exude an atmosphere of peace and tranquillity. This is particularly evocative of the days when it served as a hospice for pilgrims and wayfarers. 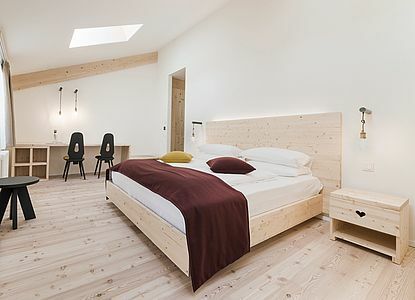 The relaxed ambience of the Gasthof rooms draws on our warm and straightforward South Tyrolean hospitality. Designer spruce wood furniture, varied light sources and rustic embellishments such as old farmhouse chairs, add a touch of old Tyrol to the contemporary feel. 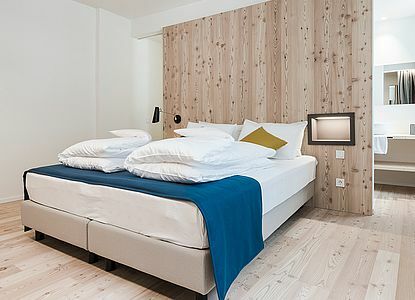 Characterized by minimalist décor and varied light sources, these ample rooms are named after “Luc”, or Mount Lucco in the local dialect. The bright Luc rooms offer magnificent views from their wide windows that seem to bring the spectacle of nature even closer. 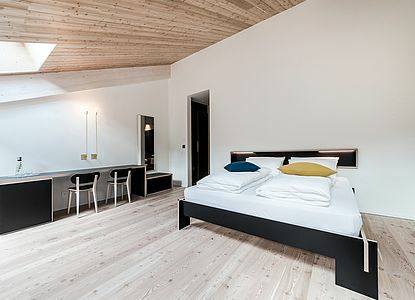 The cost-effective Standard rooms echo the charm and ambience of the former Hotel Gasthof Zum Hirschen before its renovations in 2017. 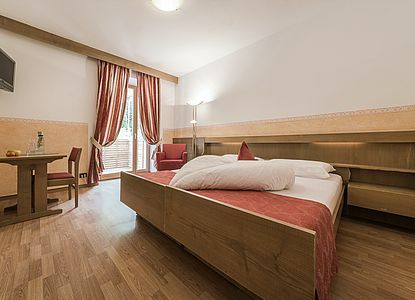 Suited to short stays or visitors seeking to economise, while still enjoying the Zum Hirschen Hotel experience.